Make them merry with this sweet bouquet! 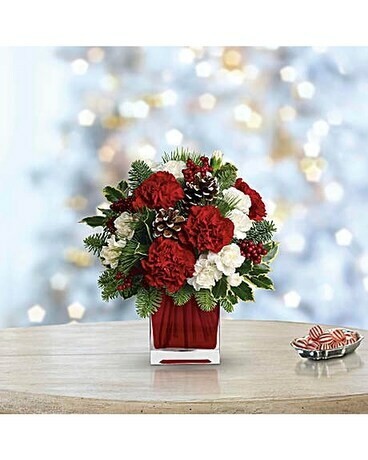 Red and white carnations with winter greens are beautifully presented in a modern red glass cube. Standard and Deluxe are one sided orientation; Premium is all around.